Yes, it's early but that's ok because it's time for a preview of the Your Next Stamp September release. I am fortunate to be one of their guest designers for the month of September and I couldn't be more honored! Your Next Stamp is gearing up for a blog hop this evening and you will want to join in. I'll be back later with all the details for the hop. You won't want to miss it! It starts tonight at 10pm EST. For now though, click right here to travel to the Your Next Stamp blog where you will find a list of the designers' blogs so you can get a sneak peek at what will be available later tonight. And in case you are wondering, I used the new Rosie Rabbit Gift stamp set and the Washi Tape Sentiments stamp set and dies. Yes, they are new and yes, you will love them!! I'll see you later tonight and we can all hop together! 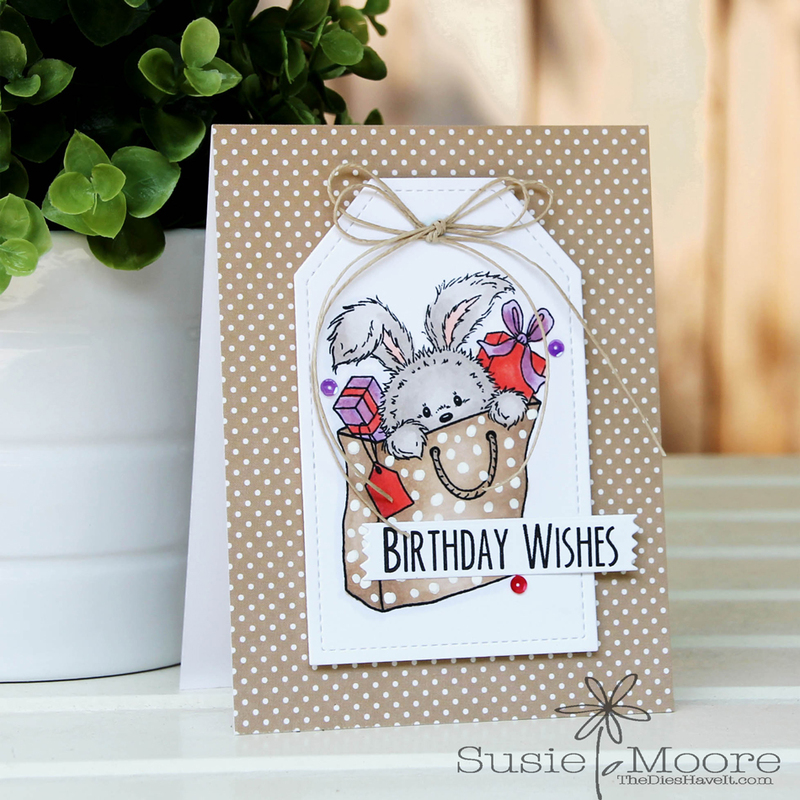 I love tag cards and that bunny image is super duper cute. That's a sweet card. Well played on the matching polka dots.